Inspiration is about more than chasing the muse. In 2015, CBC Arts brought you stories about human drama and achievement, feel-good reads from Canada and around the world. Here, we look back at a few of the inspiring moments that tugged our heartstrings the hardest. 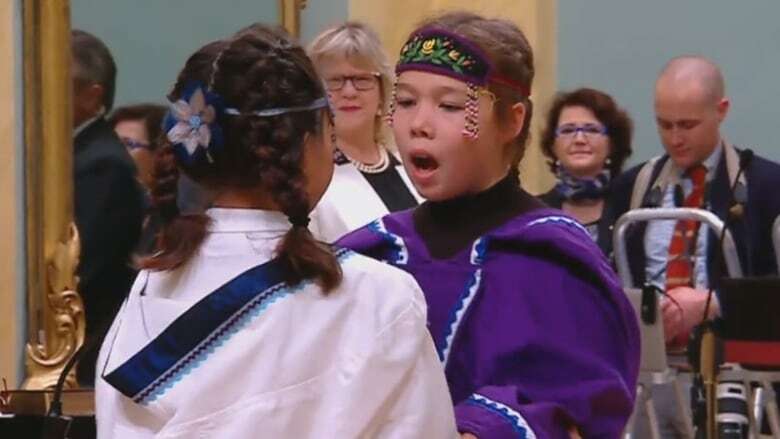 Their names are Samantha Metcalfe and Cailyn Degrandpre, and if you're on Facebook, you met them the day Justin Trudeau was sworn in as prime minister. Video of the 11-year-olds throat singing (and giggling) during the ceremony was an instant sensation, inspiring an outpouring of warm-and-fuzzy reactions, including praise from Polaris Music Prize-winning throat singer Tanya Tagaq, who later told CBC Radio's q that she wept with happiness when she first saw the clip. It was a moment full of youthful joy and celebration to many viewers, but also one of healing. As Tagaq told q: "When I was growing up I didn't hear any throat singing in my community. It was banned… . Now to see it being celebrated by that same government is really, really vital and important. And I'm very cynical. I don't mean to have hope. But I couldn't help it. Hope wiggled in there and these girls did it for me." Think you're too old to try something new? 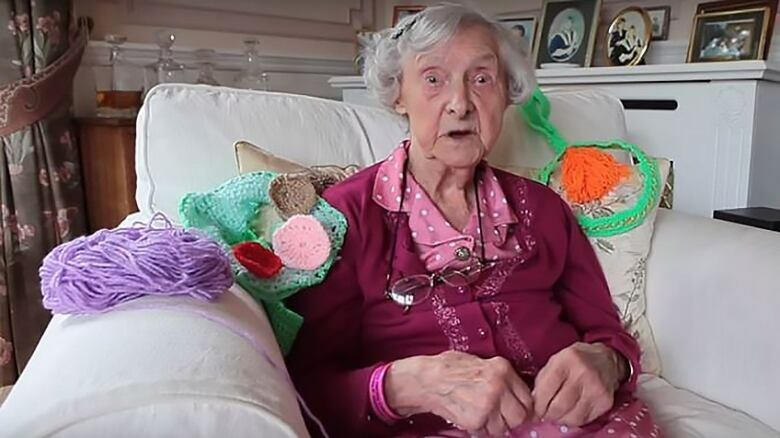 Grace Brett, 104, is part of a yarn-bombing graffiti gang. Leave it to the Kids' CBC blog to remind us you're never too old to be a knit disturber. This fall, CBC Arts picked up on this article of theirs, a story about Grace Brett of Selkirk, Scotland. At 104 years old, she's likely the oldest street artist in the world, and with her graffiti gang, she's yarn-bombed everything from benches to telephone booths with her cozy creations. If that last story was a reminder that you're never too old, this one goes to show that you're never too young. Taylor Hatala hasn't even reached her teens, and she's already working with a pop icon. Last year, video of Hatala dancing to Nicki Minaj's "Anaconda" went viral, making the Sherwood Park, Alta. girl a YouTube star. This year, though, she turned professional, landing a spot on Janet Jackson's world tour. "It was a goal I had, or a dream, that I'd be going on tour when I'm older. But it just came so quick and I could have never imagined what I'm doing right now would be possible," she told CBC News this summer. "I'm so thankful." With one Instagram photo, Ai Weiwei shared his good news with the world: after four years of waiting, the Chinese government had returned his passport. In 2011, the dissident artist was detained by Chinese authorities and his passport was confiscated. Though he was released 81 days later, Ai's passport was held, forcing the artist to remain in China. In protest, Ai began a photo project in late 2013. 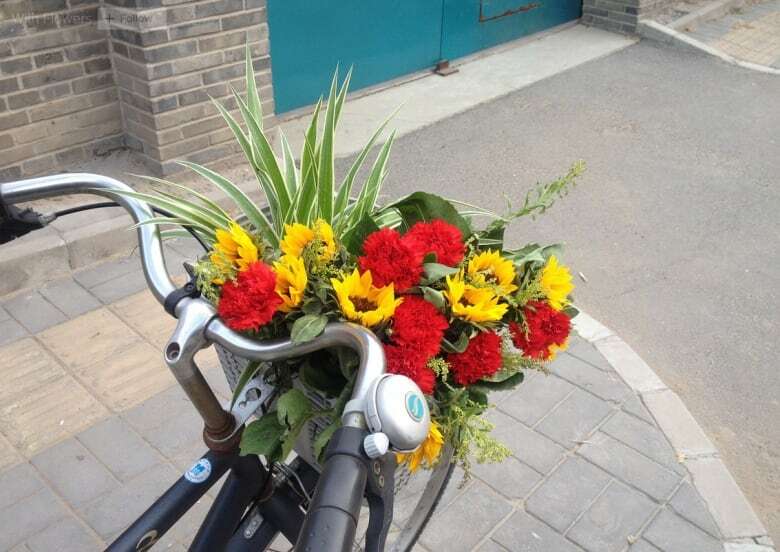 Every day until the return of his passport, he purchased a bouquet of flowers which was photographed outside his studio. The series, called With Flowers, inspired supporters from around the world to share their own photos with Ai. Tagged #FlowersforFreedom on social media, the "pretty protest," as the New York Times once called it, continues to bloom, as artists and activists share images in a show of support. In October, CBC Arts' Exhibitionists met Jackie Traverse. Growing up in Winnipeg, Traverse tells Exhibitionists she watched as neighbourhood women disappeared, including many of her friends. Now, the First Nations artist is honouring those missing and murdered women through her painting. Exhibitionists followed Traverse as she created a mixed-media mural for her neighbourhood. The piece, which transforms the missing women into butterflies, incorporates written messages for passersby. "I want people to walk by and be drawn in by the words and to read those words," Traverse explained. "Just to say those words to yourself is empowering. To know that all women are sacred, to know that your life matters, to know that you have a legacy and we honour you. You have strength. When you say those things enough time you will start to believe them. So yeah, art is powerful and healing." What arts stories inspired you in 2015? Tell us! Find CBC Arts on Twitter, Facebook and Instagram.